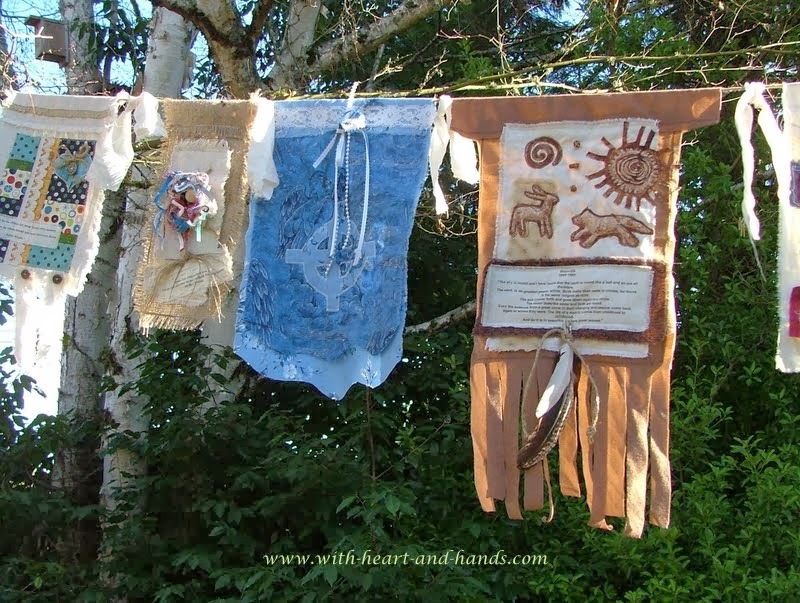 My prayer flags of blessings are flying high in the winds of gratitude. Blessings of gratitude for all of the many miracles in all of our lives, gratitude for patriotism that unites rather than divides us, and love for the good that is done in this world by so many. My brother was brought back and out of his medically induced coma, on Valentine's Day!!! Eleven days after he had been placed on a ventilator and into the coma to allow him the chance to breathe without stress. And a chance for his pneumonia scarred lungs to heal. He could only be on a ventilator for 14 days before it would become dangerous for medical complications. And when this happened before (in 2012) they were unable to bring him out and we waited with praying hearts and bated breath for an extra 3 days. After 14 days, they either breathe on their own or have a tracheotomy for a surgical implant of a vent in the throat, rather than the vent down the throat. Oh, it has been hard learning so much, going through so much, yet finding out just how strong we all can be. Four hospitals and three states later, in 2012, I was the one nonchalantly vacuuming out his trach vent (taught to do so by a doctor, first, trust me!) when he began to choke. You push that nurse's call button but sometimes, you just need to remember that we are part of all miracles and accept the responsibility for right thinking and right doing and have to do both! This time, his oxygen levels were just to low to bring him out earlier. He was in the 80% range and he needed to be at 98% or above. And bit by bit, he got there to that level, thus allowing his doctors in Anchorage to bring him back up and out, once again. I give thanks that he has yet another chance to live for surely to have survived so much, there must still be more good that he is meant to do in this world. Gratitude for the beautiful snow last week, here in Oregon, that gave me such joy but lifted so quickly to let the sunshine back into our lives. I had a lovely Valentine's Day of staying centered for the miracles to ensue while I baked Valentine sugar cookies with sprinkles, made a huge batch of potato salad and spaghetti. Comfort foods not necessarily eaten together! And I was so grateful for the shameful goodness of Cinnabon cinnamon rolls that my husband brought home, that I ate for dessert...after far too many sugar cookies, first. Some days, one needs to be more sweet than others, after all! And I hadn't eaten one in years! Grateful for great big, huge things like miracles, and little bitty swirled things topped with cream cheese frosting, and wonderful little home baked cookies with colored sprinkles, too. I hope you all had a wonderful Valentines, and if you live in the United States, as I do, that you enjoy your President's Day holiday and a long, good weekend of gratitude, creativity, and joy. That's great news, will keep everyone in my prayers for continued healing. I'm so happy to hear that your brother is recovering! But then I do think of you as the miracle maker. Where you go blessings follow! Its wonderful to hear that your brother is better. It was certainly the best Valentine gift you both could receive. That's great news about your brother and I'm glad you are treating yourself to a little sweetness! 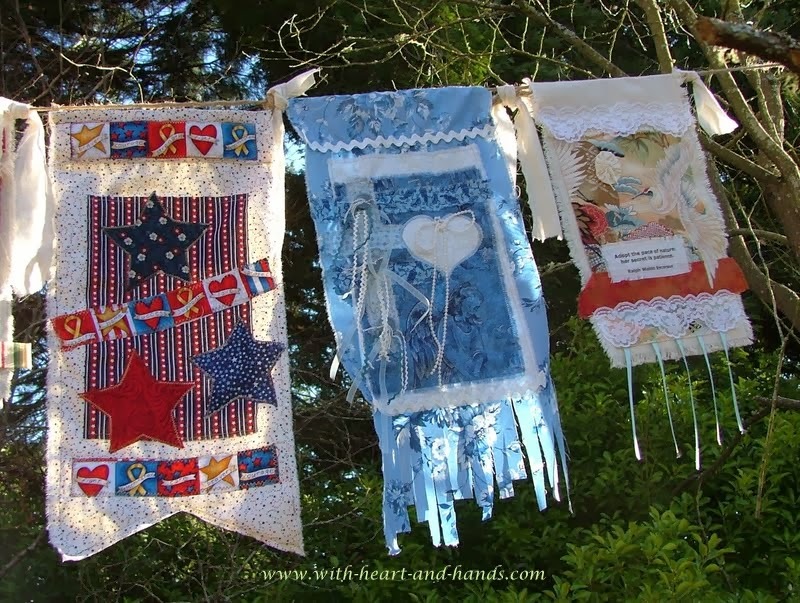 Love your flags, gives me inspiration as I have two to make this week. Happy for your brother. what a love filled post! I rejoice in all your blessings, especially for your brother's too! I"m so very happy to hear the wonderful news. Indeed he has more to do, teach or experience and I look forward to hearing more. Your attitude and strength are a blessing to me...thank you!